Rotis wasn't a creative project by any means, but it was the closest thing I've made to a complete game using OpenGL. And I made every last bit of it by myself. 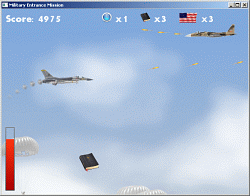 This is a game made by DeProgrammer in celebration of his entering the US Air Force. 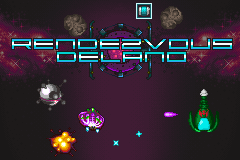 It's a shooter, and it took no more than two and a half weeks to create, from design to polish. This game is complete and has decent difficulty spread. 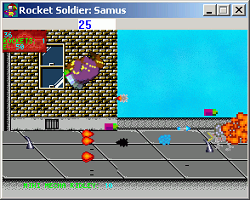 Rocket Soldier: Samus was a pretty sweet accomplishment back when I was 14 years old, you know. Up until recently, I had never made a game with even remotely smooth graphics; they all flickered and just looked awful in general up to that point. But then I learned about BitBlt, and after a few test projects with it, I decided to go all-out and make a full-scale game using what I had learned. The result was something I'm still happy with to this day. TANES is a weak Tetris Attack clone that DeProgrammer attempted to make for the NES, simply because he wanted to make software for the NES. Super Metroid World was made for the Nintendo Community Fangame Convention. 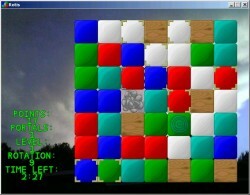 It was an entry to the Minigame Competition in 2009. It's fun! Rendezvous Delano is aaawesooome. I had some of the best people working on it with me, such as Metroid_Zapper and Jalonso. By Morrad. 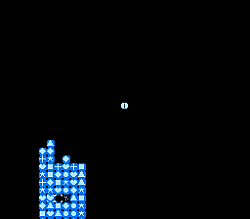 A minigame in which Mario must catch Bob-Ombs and throw them at fish. High quality. By Morrad. A short, incomplete version of Metroid: Stick Figure Mission. By Morrad. A short, incomplete demo version of Metroid Genesis. This one has one more room than Genesis Demo 3. By Morrad. Another short, incomplete demo version of Metroid Genesis. This one has a missile door and a couple space pirates. Poor-quality game in which you, a flying saucer, must simply destroy three small looping cities. 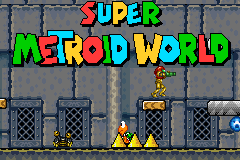 Fair-quality game in which you play as a Metroid, strategically draining the hit points of your enemies, while avoiding the laser and using your limited special abilities to latch on and to drain/mode faster. Very short game, based on the Planet Zebeth comic, in which the player (Samus) must defeat Kraid. You cannot cross the center line, and Kraid only jumps and shoots spikes. Poor-quality game in which you must destroy your enemy from a first-person perspective. Not much to it. Short game in which the player (Samus) must defeat Jack, a jack-o-lantern-like Metroid. You can only have one bullet on-screen at a time. The large Metroid spawns smaller ones to attack you.